I recently acquired a pounder can of Sunlight Cream Ale brewed by Indianapolis's Sun King Brewery. 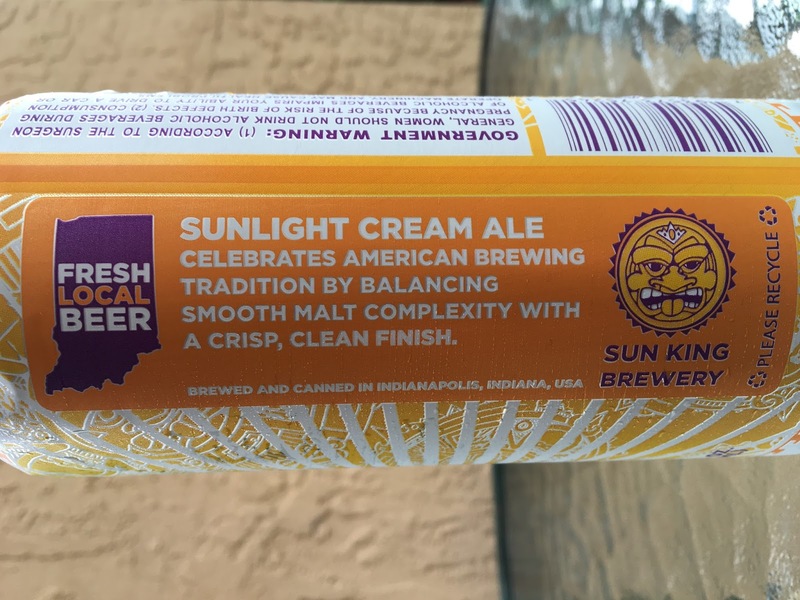 This beer won GABF Gold in 2015 in the Golden or Blonde Ale category, so expectations are high. This is a year round beer. 5.3% alcohol. 20 IBU. Canned 07SEP16. Cool can art too. 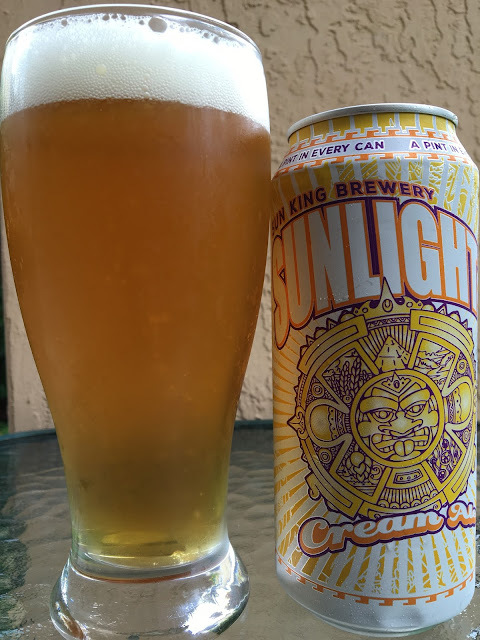 Big sunburst with some repeating patterns of their Sun King logo throughout. A little story on the back of the can will set your expectations as well. Grainy aroma with a hint of apple, light hop spice. Pleasant malty sweet flavors as well with honey, toast and some breadiness. There is also a soft light apple flavor that dances in and out. Some crisp, grassy, spicy hops show at the finish. Nice carbonation, fine texture. Tasty with nice lingering flavors. Very good.